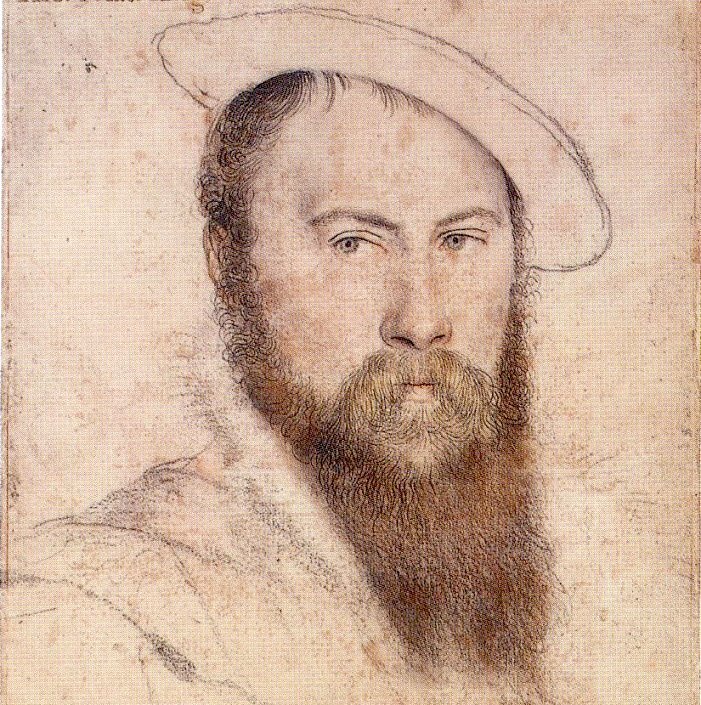 Sir Thomas Wyatt, by Hans Holbein the Younger. Since it’s both International Translation Day and W. S. Merwin’s eighty-seventh birthday (many happy returns! ), today’s a fitting occasion to excerpt this interview from our Spring 2002 issue, in which Merwin discusses his translation of Sir Thomas Wyatt’s sonnet “Whoso list to hunt,” from the sixteenth century. His interlocutor is the poet Jason Shinder. The vayne travaill hath weried me so sore. JASON SHINDER: To the modern ear, the language is also unfamiliar and difficult to access. As someone who reads Wyatt in public, how do you approach the poems? MERWIN: We don’t really know what Wyatt’s language sounded like, and I’m not an expert on late Middle English and Tudor English. I don’t try to imitate what I think would be exact Tudor English. I don’t try to put him into the modern American either. For example, the line “Yet may I by no meanes my weried mynde.” I think the e in meanes was still slightly pronounced for Wyatt, so I keep it there. When I read these poems, they run through my mind like a piece of music. Wyatt’s meter baffled Victorian editors—they tinkered with it until they got it into nice iambic pentameter and made it scan right. But iambic pentameter had little to do with it. My theory is that Wyatt’s meter was influenced by the lute—Wyatt was a great composer of lute songs, and I think he composed verse the way a lutanist would. His work is something in between metrical and syllabic verse. SHINDER: Many of his poems were actually translations of other poems. What poem is “Whoso list to hunt” a translation of? MERWIN: It’s a translation of a sonnet from Petrarch—a lovely, dreamy, medieval, allegorical poem in which someone sees a white deer and decides to leave what he’s doing, his whole daily life, to follow the white deer, which eludes him. It’s a dream, and then it’s gone. It is not, however, a dream that Wyatt is talking about; it’s something very much wide awake. SHINDER: Was such translation common practice among poets of his time? MERWIN: Many Elizabethan poems evolved from translations. “Drinke to me, onely, with thine eyes,” from Ben Jonson, is two Latin poems. SHINDER: There seem to have been few, if any, distinction between original poems and translations. How do you think translation has progressed since then? MERWIN: Translation has taken many forms, but we still go on talking about it as if all these forms were the same thing, when in fact they’re not. Anything from a pony to what is called a free version or an adaptation—they’re all called translations. The word translating, and the work of translating, is extremely vague and misleading. You don’t know what to expect. SHINDER: Given this open definition, is every poem then, in a sense, a translation? MERWIN: That’s what Auden said. You translate an experience into words in the first place, and then a lot of it gets lost in the translation.